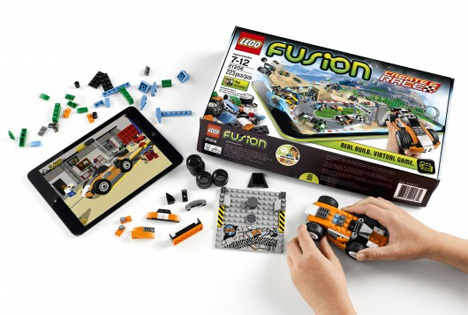 Lego building blocks are moving into the virtual world with a new series of building sets called Lego Fusion. 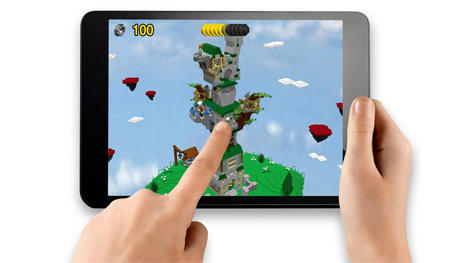 The sets let you build in the real world and then interact and play with your creations in a virtual setting via a tablet app. There are currently four sets in the series: Create and Race, Town Master, Battle Towers, and Resort Designer. The fun begins with a piece called a Fusion Capture Plate and a building facade – or in the case of Create and Race, a racecar. There are no instructions for building these structures; you can design them however you like (with a couple of small requirements like a door or wheels) and then use the app to “capture” your creation. In the app, your two-dimensional building front or racecar becomes a 3D interactive structure. Once your building or car is recreated in the app, you can add on to it, create a town around it, and play games or complete challenges. Each set has its own mode of game play. In the Battle Towers game, for example, you defend your tower from an attack, and in Town Master you complete tasks to make the residents of your virtual town happy. 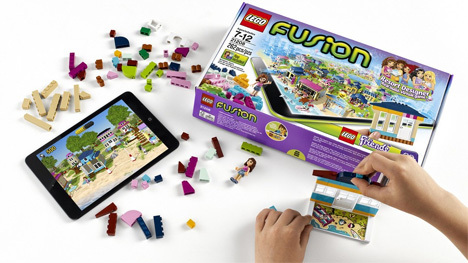 The Fusion Capture Plate can be used over and over in the game to let you build and add more structures to your in-app world. 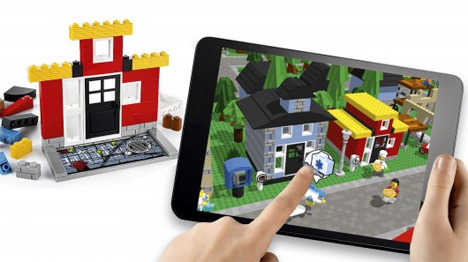 Accomplishing in-game tasks will get you coins that you can spend on stuff to add to the virtual Lego world. Set to sell for $35 (U.S.), the sets will add a whole new level to the fun that kids (and grown-ups) have playing with Legos. See more in Gaming & Geek or under Gadgets. June, 2014.